THE teenage son of a Scientologist has been arrested over an attack at the Sydney base of the controversial church where a "beloved" member died after being stabbed in the throat. 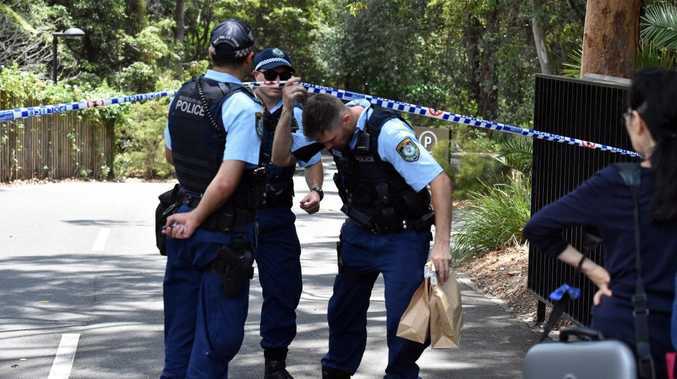 The 24-year-old victim was killed by a "traumatic" stab wounds after an incident at the $57 million Church of Scientology headquarters in Chatswood on Thursday afternoon. The incident is alleged to have occurred on the driveway to the church after the 16-year-old was asked to leave. Police said the teen was escorted from the premises - and as he was taken down the road a 25cm "very sharp kitchen knife" was allegedly produced. Police said the 24-year-old, who is believed to be from Taiwan, died in hospital. He was "bleeding heavily" from the neck when paramedics arrived. The second man, aged 30, was treated for minor cuts and is in a stable condition. "At this stage it's very early. It would appear the altercation, or the reason the young person has been removed from the premises, was only and solely in relation to a domestic incident that occurred yesterday." The victim couldn't be saved, he said. "At this stage unfortunately the 24-year-old male has passed away and inquiries are being made to contact family. Both men were taken to Royal North Shore Hospital. 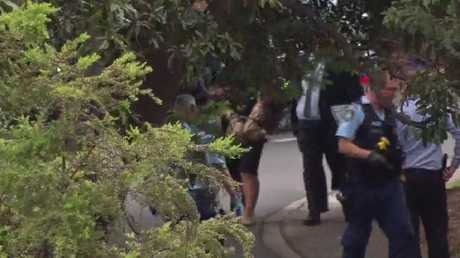 The teen was taken to Chatswood Police Station where he is assisting police with inquiries. 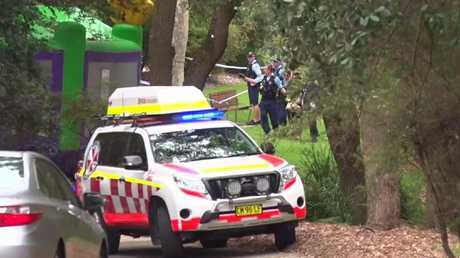 NSW Ambulance acting deputy commissioner Tony Gately described the 24-year-old victim's injury as "traumatic" and said paramedics had done everything they could to help him. Inspector Jones said both the men were employees of the church and they were trying to establish why the teen was asked to leave. "He had a lawful reason to be here originally and they've asked him to leave for various reasons, which we still need to get to the bottom of and speak to staff here on premises," he said. Inspector Jones said the domestic incident yesterday did not relate to the church. "However resulting from that incident yesterday the staff on premises made a decision he should leave," he said. He said a member of the teen's family had been at the church today. 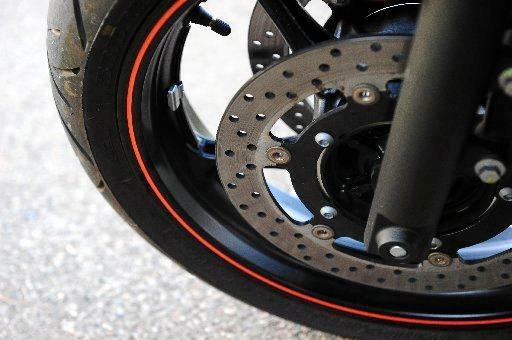 The Daily Telegraph reported the family member was the teenage boy's mother, who he was trying to see. After his mother told Scientology staff what had happened between them the day before, they decided to move him off the premises, a church source told the Telegraph. 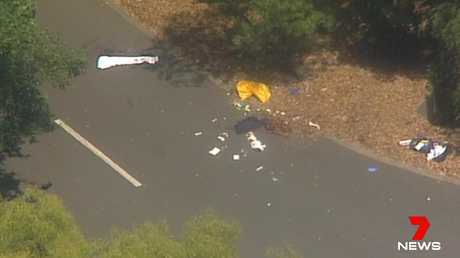 A man at the centre's reception told news.com.au he had "no idea" about the circumstances surrounding the incident. "We're not going to report anything right now," he said. Other staff in the church also said they were unaware of what unfolded in the driveway. The Church said in a statement the man killed was a "beloved" member of the congregation. "This very unfortunate matter is in the hands of the police. We cannot make any further comment beyond the fact that the victim was a beloved member of our Church," it said in a statement. "The Church is providing the police with any assistance needed in their investigation." A young Scientologist, who asked not to be identified, had not been aware of the stabbings until media crews arrived. "I came down when the first camera crew showed up but I was told it wasn't a huge deal," he told AAP. "It's a huge building, a lot of people come from around Asia to study here. "It offers a lot of services other (Scientology properties) don't." The day included a performance of Waltzing Matilda by Aussie singer and Scientology member Kate Ceberano. The imposing building was described at the glitzy opening as "a cosmic alignment of universal factors" by the church's global leader David Miscavige. More than 100 Scientology members are reportedly bussed into the fancy building daily to study "Dianetics" (the church's key teachings on the science of the mind), take courses in purification to rid them of "toxic residues" and attend "auditing" sessions costing thousands of dollars to help them overcome their past and ascend to a higher level of existence. 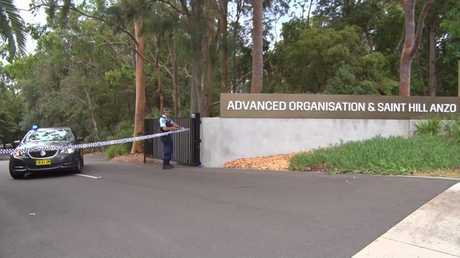 It is also known as Advanced Organisation Saint Hill Australia New Zealand Oceania, providing "advanced religious services" to Scientologists from across Australia, New Zealand and the Asia Pacific region.